It is a very common statement that “OMG, I don’t know how this week passed so quickly. It was really a hectic week for me”. 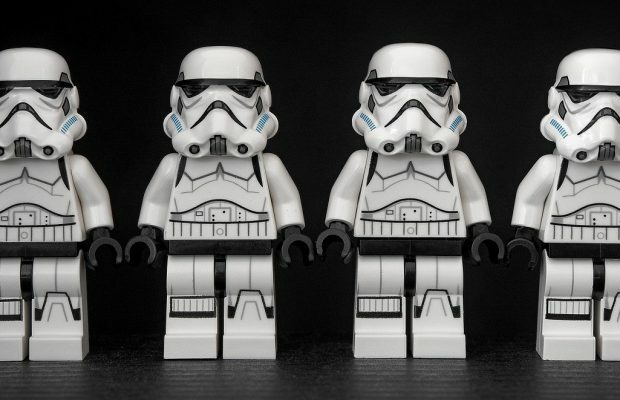 Do you really want to know how do you actually spend your week? 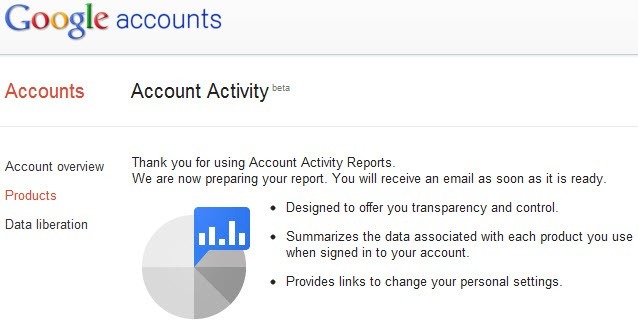 Google has released a report page named Account Activity which is currently in beta where you can get your activity report based on your Google Account and see some interesting statistics. Even you can use the report for better time management between work and personal life. You need to opt-in for the Activity Report to start getting the statistics for your Google Account. In just few minutes, you will get your first report created and you will receive an email with the report link. This report is also helpful in tracking the account login activity. Google does also provide those details on Gmail page for account security purpose but Activity Report is showing the list in a super clean manner. 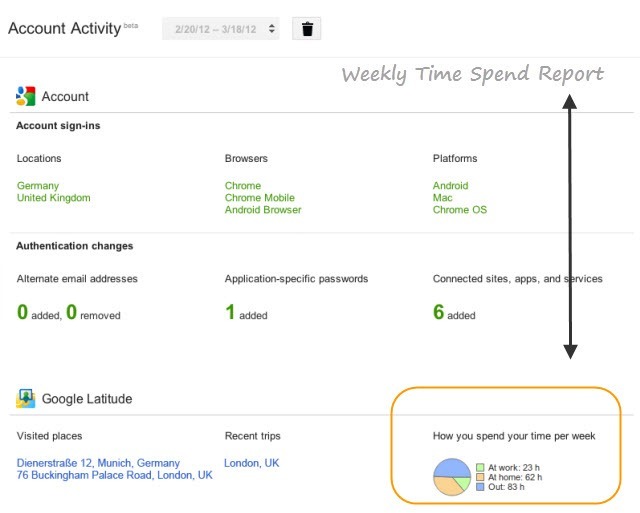 In Latitude section, you can see that Google is reporting about your time spend this week (for selected period). In the Latitude section, it actually talks about the places that you visited the most and recent trips (if any) and then it shows a pie chart with number of hours spend with family at home, hours at work place and then outside the work/home. Based on your check-ins on Google Latitude, you get the report with number of hours spend on these places. As you can access Latitude from your mobile phone, tablet or other device, you can actually log the location and keep that till next check-in. Now Google does the calculation internally and shows the number of hours. Of course the details provided by Google is not 100% correct as we use to check-in using multiple application like Foursquare, Facebook Places etc. If I miss the Latitude for one time, Google will not be able to find out my hours spending for that period and will put that in last checked-in place. But if anyone maintains a proper check-in, he/she can get correct result out of Google Account Activity Report about the time spend this week.